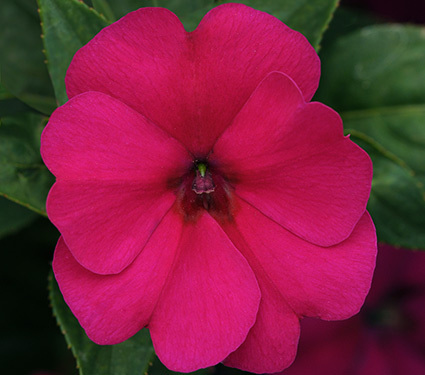 Disease Resistant Impatiens are now available! 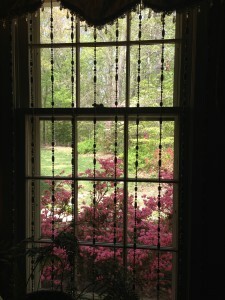 Gardeners in the United States have been reliant on colorful annual impatiens flowers for years. Super simple to grow, and offered in many colors, impatiens even reseed themselves and flourish in shady areas. 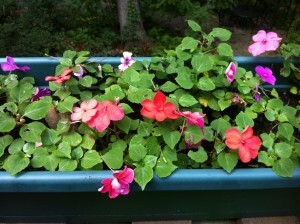 Up until 2012, I was growing impatiens in my own landscape with great success. Yet over the past 10 years, a downy mildew disease has overtaken the majority of the impatiens plants across the Eastern US. The disease, believed to have originated in Europe, causes the impatiens plants to wilt almost overnight. 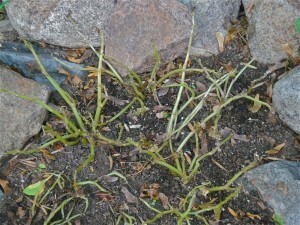 The disease remains in the soil from year-to-year so the next year’s plants will also succumb to the blight. The downy mildew disease has spread across almost the entire United States. I’m lucky to have four tiny impatiens plants that have somehow escaped the disease, and are reseeding themselves each year. Right now, they are growing in a small ramekin in my kitchen window and will move to a larger pot to be placed outside. This year, I’m seeing lots of interest in a new strain of impatiens plants called “Bounce” impatiens. 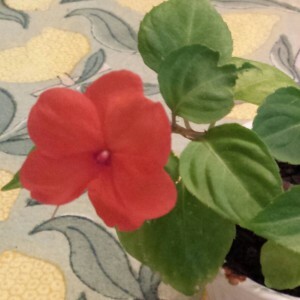 First announced to the public in 2014, the new Bounce impatiens plants will not only “bounce back” from a lack of watering, but are also resistant to the impatiens downy mildew blight. 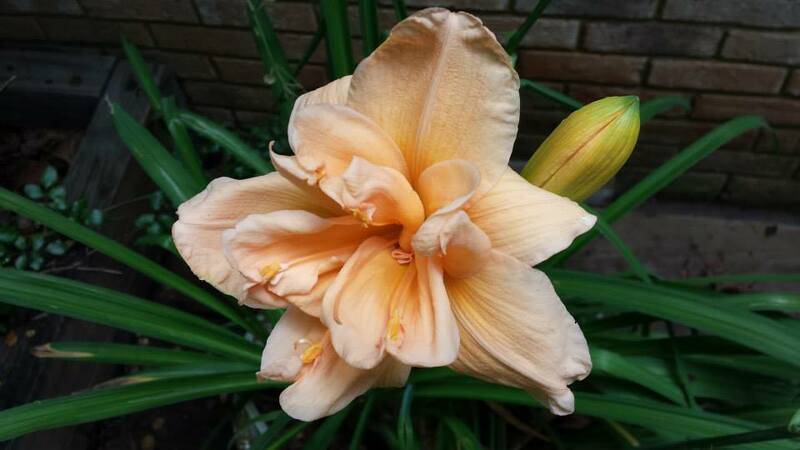 Check your local garden center and maybe even the big box stores like Home Depot, Lowes, and Walmart . 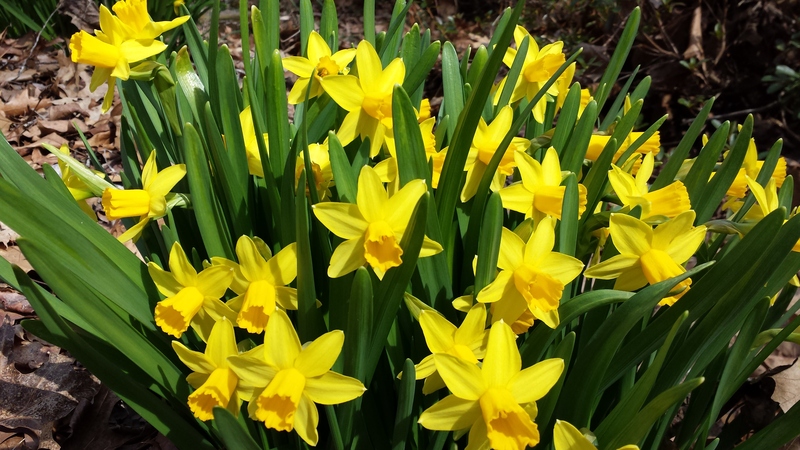 Some of the online retailers such as White Flower Farm and Monrovia may carry the plants for home delivery or delivery to your local garden center. 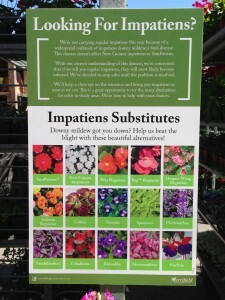 If you can’t find these new impatiens, you can check out these substitutes from my local Merrifield Garden Center in Fairfax, VA. Merrifield Garden Center’s site is a great resource for gardening tips. Let’s hope the brand new Bounce impatiens varieties will thrive! I miss my impatiens and I bet some of you do, too. Are you seeing the new Bounce impatiens in your area? 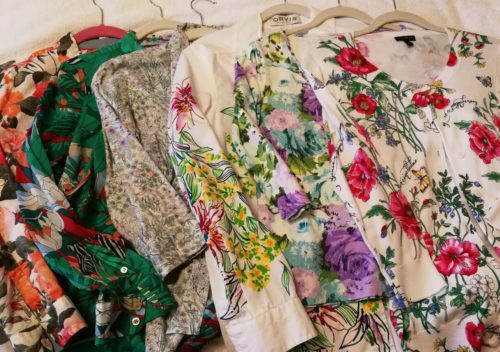 Let us know where!